The Australian Commission on Safety and Quality in Health Care (ACSQHC) has developed National Safety and Quality Health Service (NSQHS) Standards. 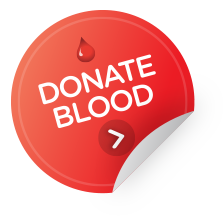 One of the ten standards focuses on blood and blood products (Standard 7). These standards are mandatory for hospitals and day procedure services from 1 January 2013. Visit the National Safety and Quality Health Service Standards page on the ACSQHC website to access the Blood and Blood Products Standard.